Supercharged is an interesting read. Christine Bailey devotes the first 25 pages of her book to outlining and explaining the nutritional contexts behind her recipes. If you happen to own a juicer, you will find plenty of recipes to keep you busy and well nourished for a long time! 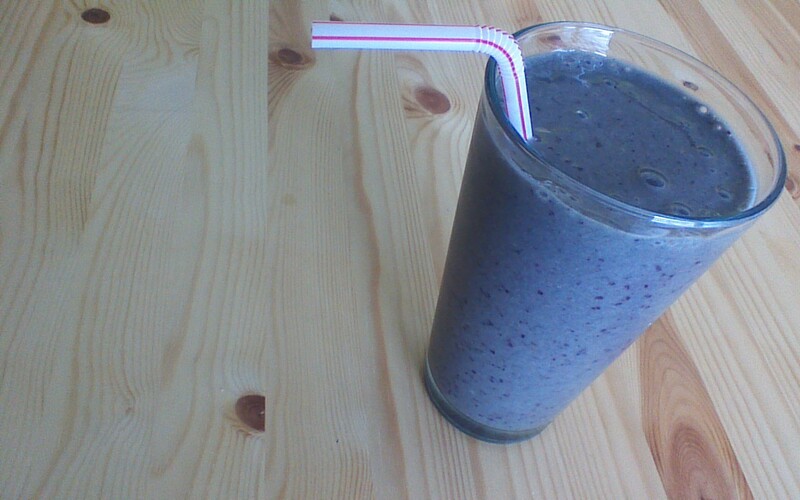 I don’t own a juicer, so my blender and I moved right along to the smoothies in the second half of the book. Folks concerned about allergens will be happy to see convenient symbols pointing readers toward recipes that are gluten free, dairy free, soy free, nut free, seed free, citrus free, and suitable for vegans. Some readers might enjoy Bailey’s more subjective categories including weight loss, cleansing, radiance, energy, immune boost, and brain health and stress. Crowded Earth Kitchen doesn’t put a whole lot of stock in these latter, subjective categories, believing instead that simply enjoying a wide variety of fresh, whole foods is the key to optimum health. But hey, if it puts a little spring in your step to sip a glass of something labeled “cleansing” or “radiant,” who am I to judge? 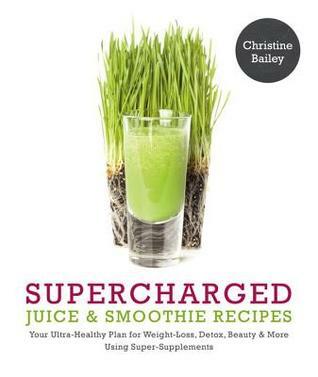 I enjoyed the Wake-Up Berry Latte, featured on page 118 of Supercharged. Made from yerba mate tea, almond milk, maqui berry powder, frozen mixed berries, and cinnamon, I thought this smoothie was a delicious and low calorie way to start my day. Don’t have any maqui berry powder handy? Yes… that’s the only real drawback I found reading Supercharged Juice & Smoothie Recipes: Your Ultra-Healthy Plan for Weight-Loss, Detox, Beauty and More Using Green Vegetables, Powders and Super-Supplements. The recipes contained within the book do contain many specialty ingredients, from a wide variety of berry and vegetable powders to ingredients such as aloe vera juice, flaxseed oil, water kefir, and shelled hemp seeds. Readers should plan on a trip to a health food store (or a bit of online shopping) before making use of this book. This entry was posted in Books, Uncategorized and tagged Books, Food, Juice, Smoothies. Bookmark the permalink. ← Help fight hunger and win free stuff!